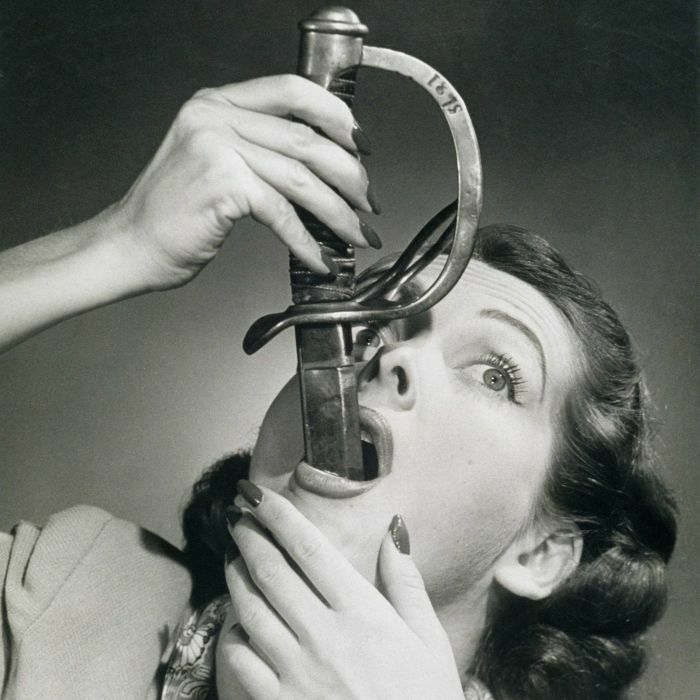 Today is World Sword Swallowers Day. I recommend crochet. No swallowing. The things humanity thinks of to entertain ourselves and each other seem to defy reason. We look at historical methods with ridicule or even disdain and then some modern person pushes that to extremes. I’ve seen an acrobatic team where the smaller of the two somersaults on the other person’s upraised feet. Given our weird habits, it’s amazing we even manage to survive! Then there are the fire swallowers. No thank you very much. I have enough problems with spicy Indian food. I just started reading a romance set in a circus and the hero is a fire swallower/knife thrower. Who knew? I saw a sword-swallowing act at a Renaissance Festival once. In addition to sharp objects, he collected eyeglasses from the audience and inserted the earpieces into the inner corner of his eye and out his–actually, I don’t know where they came out because I hid my eyes and tried not to barf. I enjoy crocheting. Also quilting. I even got to do some today. So I promised you a new breakfast scene today (Sunday). But last night about six we got an SBP (Storm of Biblical Proportions) and it knocked out all the power until now. I had no computer, no internet, no microwave. It was hell. So now it’s 1AM and I have power (YAY) but I have to go away tomorrow so I have to get some sleep. Which means, no scene. Unless I put up something else. I’ll cogitate. Jenny, I just found this and I thought of you. According to the Washington Post, it’s making supporters of the so-called President livid. I love satire done well. I love the Washington Post. What do you think of the new motto? The WaPo motto? I LOVE IT.